The entrepreneurs and co-founders of the small Utah-based company ClearRetain are Orthodontic Lab Technicians and have been in business for eighteen months. 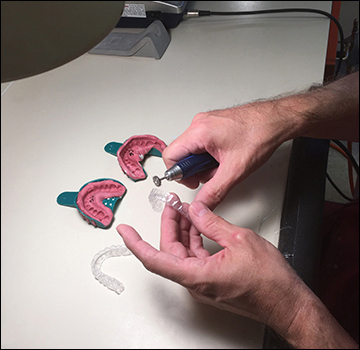 As an Orthodontic Lab Technician with over 30 years of experience, Rick shares the inspiration and goal behind starting the business initially. Steven Gardner, second co-founder, takes care of the marketing and business side of the company. Since a replacement retainer costs $300-$600 USD depending on your dentist or orthodontist, Clear Retain offers low-cost options instead which range in price from $79 USD for one or $119 USD for two (top and bottom). 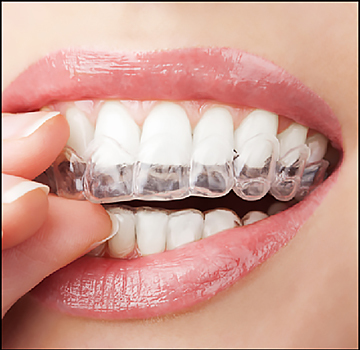 ClearRetain also offers bleaching trays which cost $119 USD and soft night guards which are $95 USD. All of the clear retainers are made with a material called Essix Plus by Dentsply. “This material assures you have the most durable product possible. Retainers can last months or years depending on how hard you bite, if you grind your teeth, and how well you clean and care for your retainer. As for a discount, yes, there is a 50% discount on your second retainer. If you need both an upper and lower retainer, the second (lower) retainer is half off,” explains Rick. At ClearRetain, they use state-of-the-art computerized equipment which assures customers that the product will fit perfectly to the impression which is mailed to them. If you believe that the impression is not accurate, they will send you more impression putty. You’re only required to pay for shipping. Many customers have given testimonials for the top-notch quality and value of the product for an affordable price. “We are fortunate enough to receive reviews and testimonials from our customers on a regular basis. We are grateful for them and their willingness to share the experiences with us,” adds Rick. One such customer, Sarah Naqvi from Ashton, MD, expressed her gratitude for the customer service and shared her experience with the product and the company. The only complaint they have received on occasion occurs when a new retainer does not quite fit. But it is normal for a new retainer to feel tight initially. “This tightness is caused by slight movement of your teeth that occurs between the time you take your impression and the time you receive your new retainer. We have found though that you just need a couple of days. Your teeth will realign to the shape of the retainer and will feel more comfortable and snug,” clarifies Rick. 1) Order your clear retainer here www.clearretain.com and quote the promo code RHTYXD for a 5% discount. Once your order is received, they’ll ship you all of the materials needed including detailed instructions on how to take impressions of your teeth. 2) Ship your impressions back to ClearRetain in a prepaid shipping box for sending back your impressions. 3) ClearRetain then creates your retainers and ships them back to you. “Once we receive your impression it takes only 2 to 3 business days to complete the order. It then takes another 2 to 3 days to ship the finished retainer back to you, the customer,” continues Rick. Currently, they only plan on selling clear retainers in the US. But in the future, they will consider expanding their business and ship outside of the country. As far as other products being added in the future, that’s a possibility. Presently, they offer clear retainers, custom whitening trays, sport guards, and night guards. “These are the products we hope to continue to offer in the near future,” says Rick. For a small company that values quality products and customer satisfaction, they are doing a booming business in part because of their free postage, reliable quick turnaround time, competitive pricing, and fantastic customer service. They care about their customers and are making a difference in their lives. Grace C. Visconti’s Blog is partially a professional review site that receives compensation from certain companies as she reviews their products and services. But not all of her articles have Affiliate links only where a disclaimer is indicated such as at the bottom of this page. She only recommends products that she uses which are top quality or services that she investigates thoroughly. This blog is independently owned and the opinions expressed here are her own.